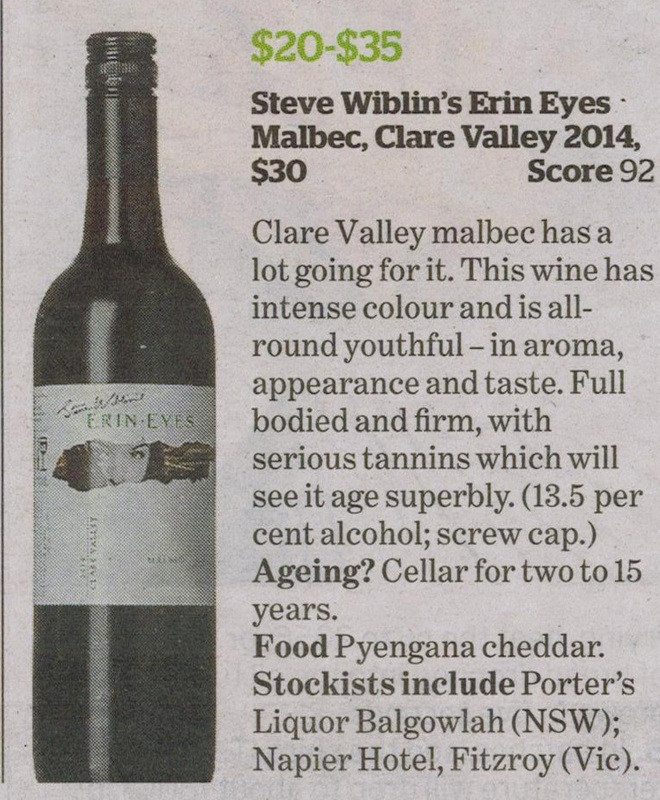 For the second year in a row Steve Wiblin’s Erin Eyes Malbec has been selected to represent Australian in the Six Nations Wine Challenge. 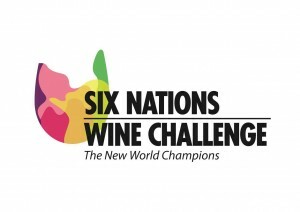 The objective of The Six Nations Wine Challenge is to discover the New World Champions by asking a judge from each country to choose their best wines and have them all compete against each other in a giant blind tasting of 600 wines. 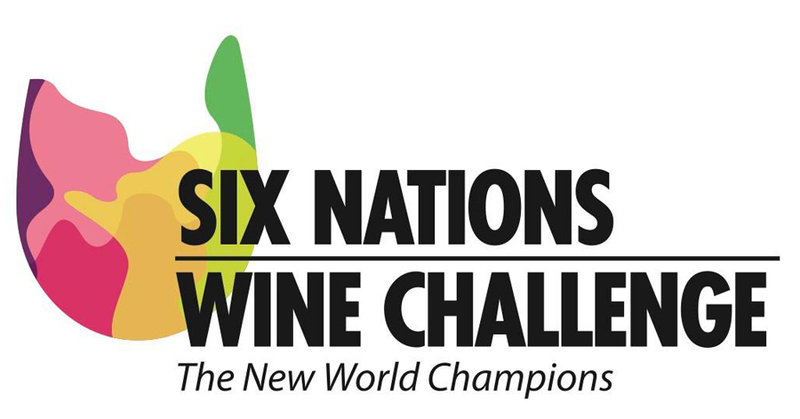 Each Judge is set the task of selecting 100 wines across the 15 Classes with a maximum of 10 in any one class – the best in their country regardless of company size or quantity available. 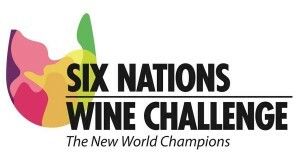 This is the only wine show in the world where the wines are entered following an invitation from each country’s Judge. 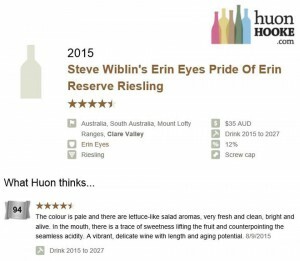 It started when I looked at what to call my Reserve Riesling. 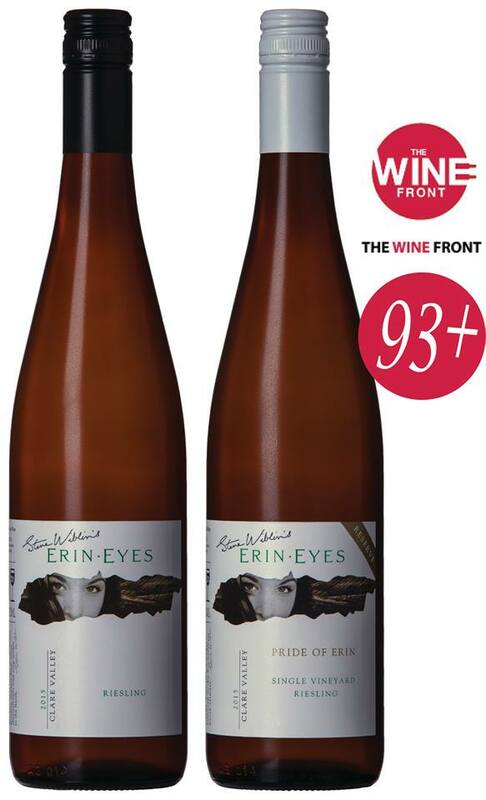 I decided to call it ‘Pride of Erin’ after the famous Irish dance. 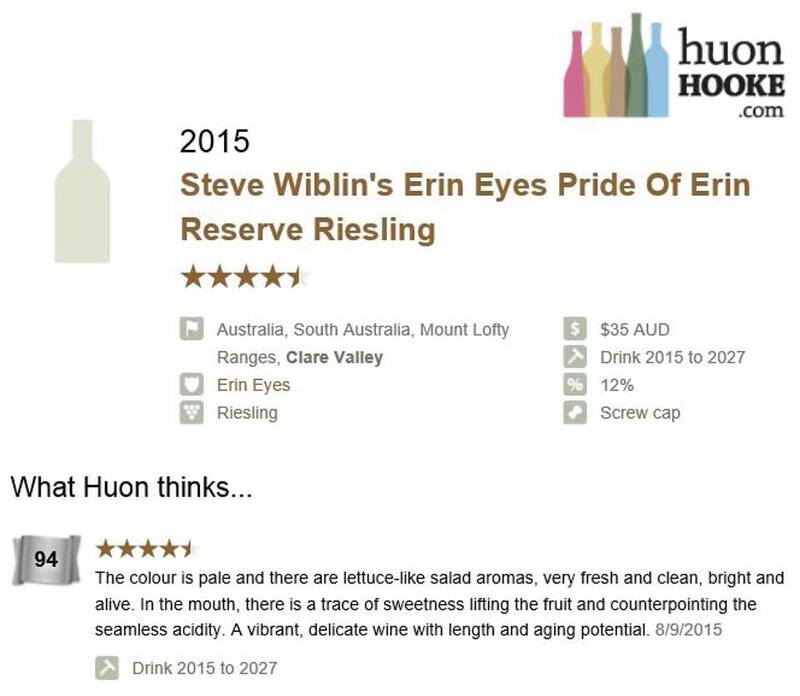 It seemed to suit as I was proud of the wine and have always been fascinated by the dance. 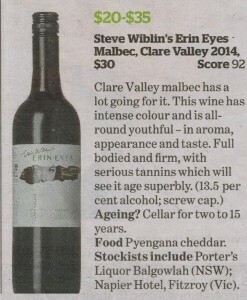 A wine that dances on your tongue! 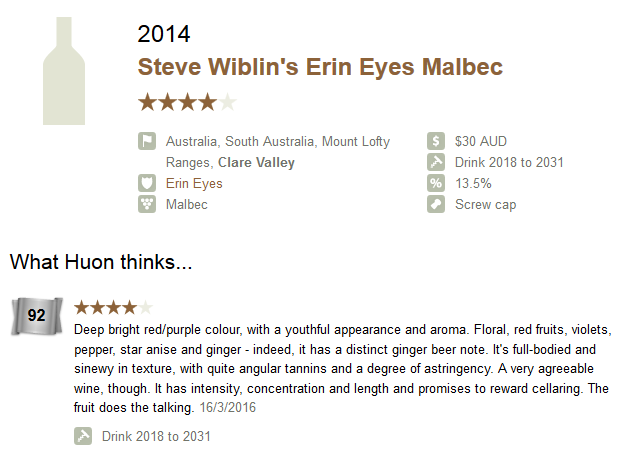 So I have chosen to add more Irish/Celtic flavour to my labels with some famous names and some more personal to my heritage. 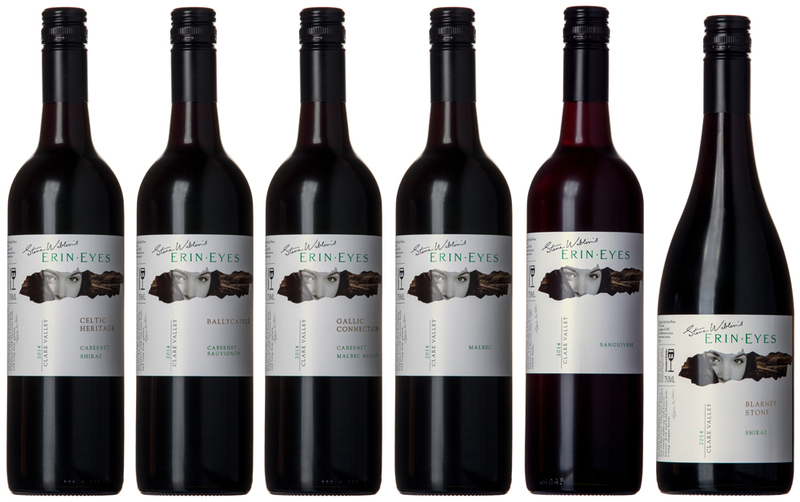 Shiraz – ‘Blarney Stone’ after the famous stone that once kissed bestows the gift of eloquence. 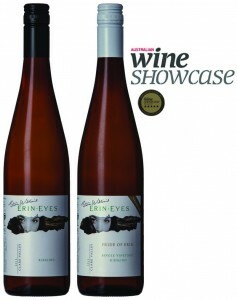 This wine speaks for itself! Cabernet Sauvignon – ‘Ballycapple’ was the home of my ancestor John Kennedy who was a wrongly convicted convict. 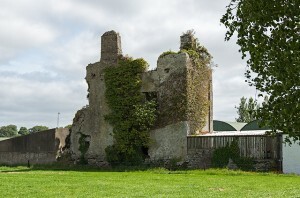 His wife and son were give free passage to join him. Ballycapple, Tipperary is also one of the main seats of the Kennedy Clan who built Ballycapple Castle. 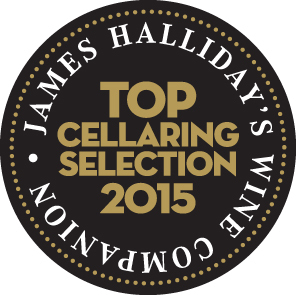 Cabernet/Malbec/Merlot – ‘Gallic Connection’ as the Gauls (ancient France) were part of the Celtic races. 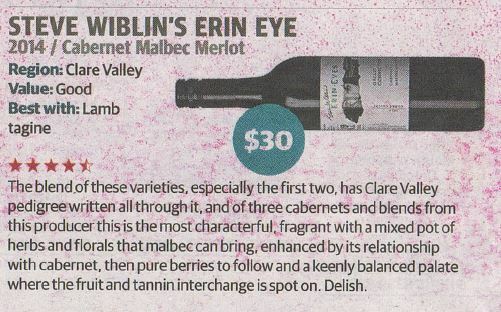 This Bordeaux blend of varieties should be named after my Celtic Cousins. 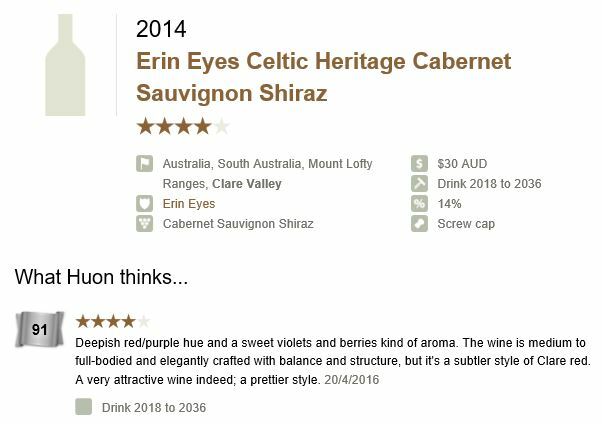 Cabernet Shiraz – ‘Celtic Heritage’ my favourite Aussie wine blend deserves to be celebrated as a wine and my heritage. 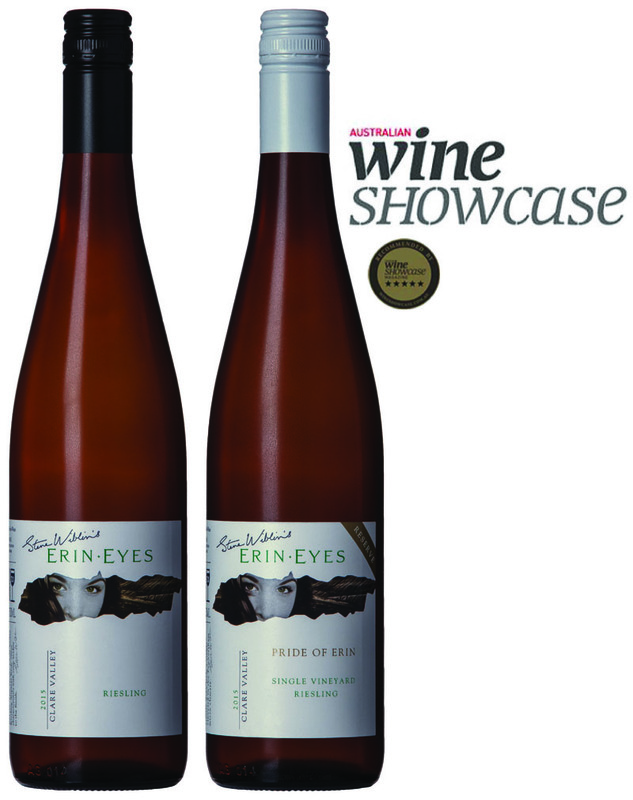 Steve Wiblin’s Erin Eyes Pride of Erin Reserve Riesling has been receiving some great reviews. 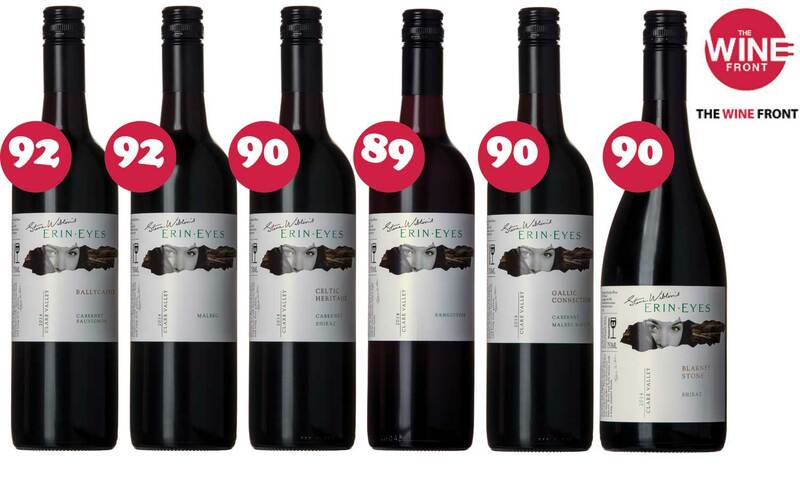 4.5 stars and 94 points from Huon Hooke, 5 stars and 97 points from James Halliday and 93+ points from The Wine Front.